(3). After checking the box shown in above image click OK and you are done! 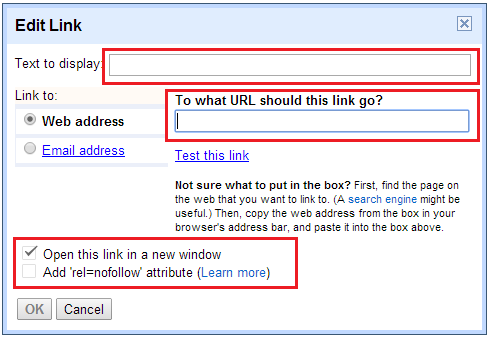 Remember add rel=nofollow to each and every link of every post for better seo results. I hope this was helpful to you if you have any problem related to this post ask me in comments. Thanks for visiting 101Helper. Share this post with others, Follow and subscribe for latest updates. Tags: 101Helper, tips for blogger, blogger new tricks, blogger help, tutorials for blogger, new tips and tricks, How to add rel=nofollow to links in blogger, nofollow in links, seo tips.